A mom's first Mother's Day is definitely something to celebrate. It is a right of passage for new moms to have a holiday that honors them and their accomplishment of becoming a mama. If you know someone who is about to have their very first Mother's Day, get them something special. 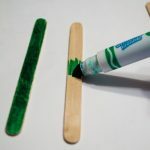 Gear that they need for everyday mom life is not only a practical gift idea, but one that you know you will help them simplify this time in which they are still learning and adjusting to a new baby. This Mother's Day guide is dedicated to some of the coolest and most functional gifts you can give to the new mom in your life. Because every new mama deserves the safest, simplest travel system for her baby. Because new moms need beautiful nursing wear. 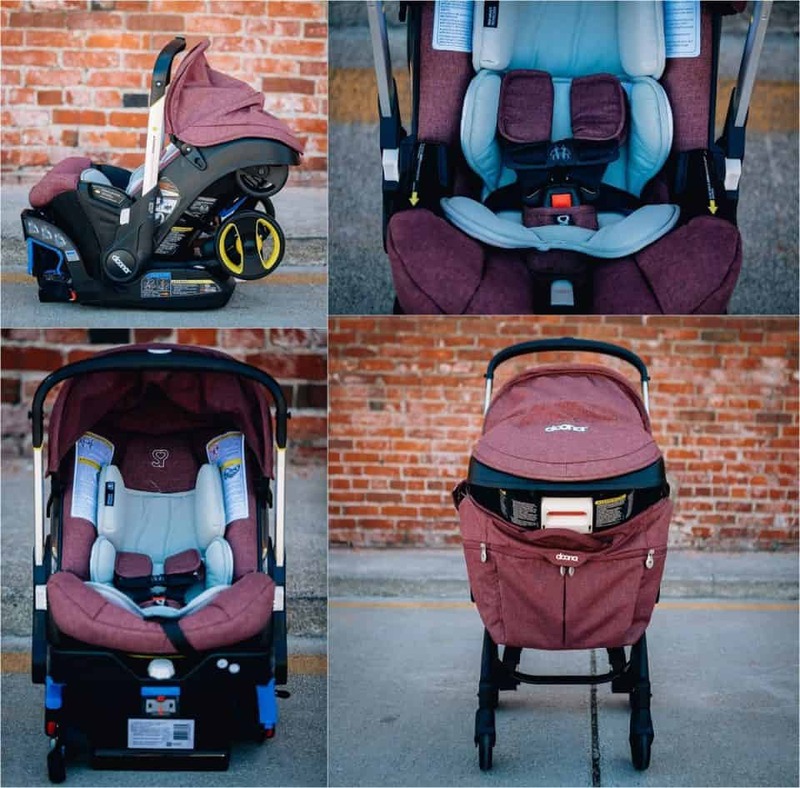 Infant carseats are a must for new moms and their babies, but say goodbye to the heavy, bulky traditional travel systems and say hello to the Doona. This innovative infant seat is an all-in-one carseat and stroller letting new moms stay mobile with their little one from the very beginning. The Doona is the first ever carseat with a fully integrated mobility solution. 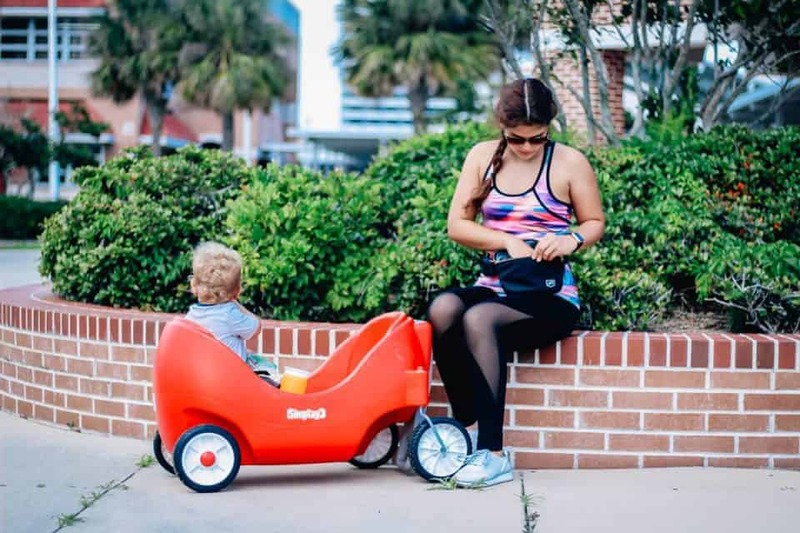 No longer do new parents have to worry about carrying a hefty infant seat on their arm, taking up precious space in the car for both a carseat and stroller, or waking a sleeping infant, transferring him between carseat, stroller, or carrier. The Doona does it all! The Doona provides an ergonomic seating solution for optimal use both in and outside of the car. Realizing that babies spend a significant amount of time in carseats these days because of their parents' busy lives, this infant seat was developed with both baby's physical and social growth in mind. To fully support baby's posture from birth, the Doona comes with a unique newborn insert inspired by the position of an infant in its mother's arms. The newborn insert is recommended for use with baby until he or she reaches the 11 lb. limit. 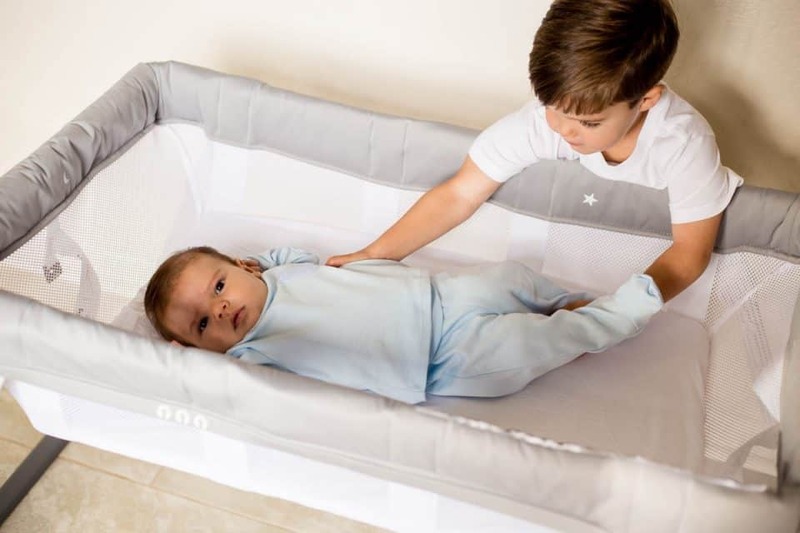 Both with and without the insert, the Doona is designed to promote social development by allowing baby to maintain eye contact and interact freely with the world around him. The Doona's double wall structure provides enhanced side-impact protection, and its adjustable handlebar when placed against the back of the carseat with installation provides advanced anti-rebound protection. Featuring an interior crafted of thick, protective padding for baby's optimal safety and comfort, the Doona is made of baby safe materials, free of both PVC and BPA. The Doona also features an extra large sunshade perfect for protecting baby's sensitive skin both in the car and on a stroll. With the ability to use the carseat with both the latch system base and a vehicle seatbelt, this carseat allows for an easy transition between mom and dad's cars with no need for more than one carseat. The Doona also comes with a vehicle seat protector to keep those carseats free of dirt, debris, or scratches from the carseat itself. 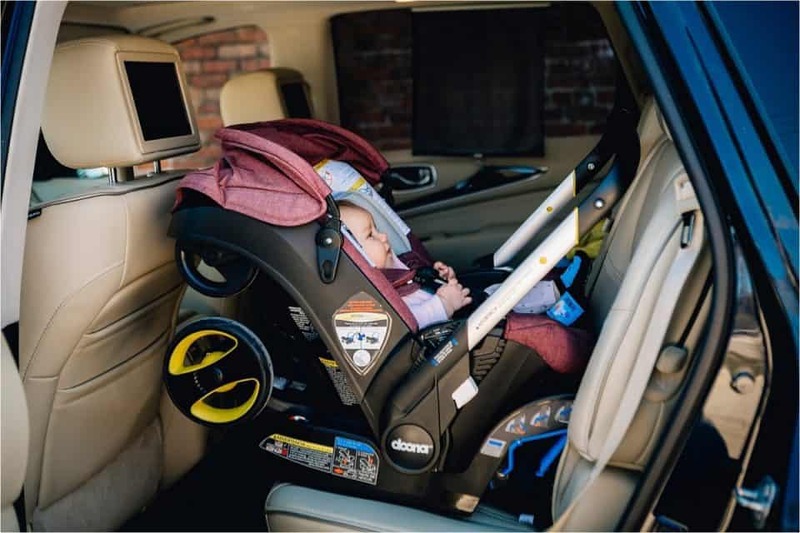 Meeting all of the highest safety standards in both the United States and Europe, the Doona is certified as an infant carseat/carrier and stroller. It is also approved for use in both cars and aircraft making it the perfect solution for use in airports and on planes for the frequent traveler. In one simple motion, the Doona converts from a carseat to a stroller and back again, making it the most simple travel system available to new parents. Knowing parents these days are always on the go, the Doona also has a variety of custom, attachable accessories making life just that much simpler. We love the essentials bag for every day use. 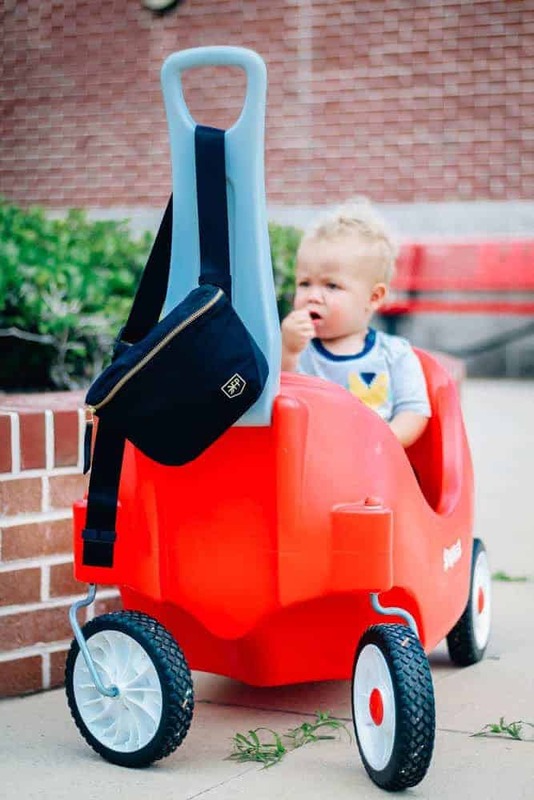 This compact and lightweight bag easily carries baby's necessities and provides 4 exterior compartments perfect for water bottles, phones, keys, wallets or sunglasses. 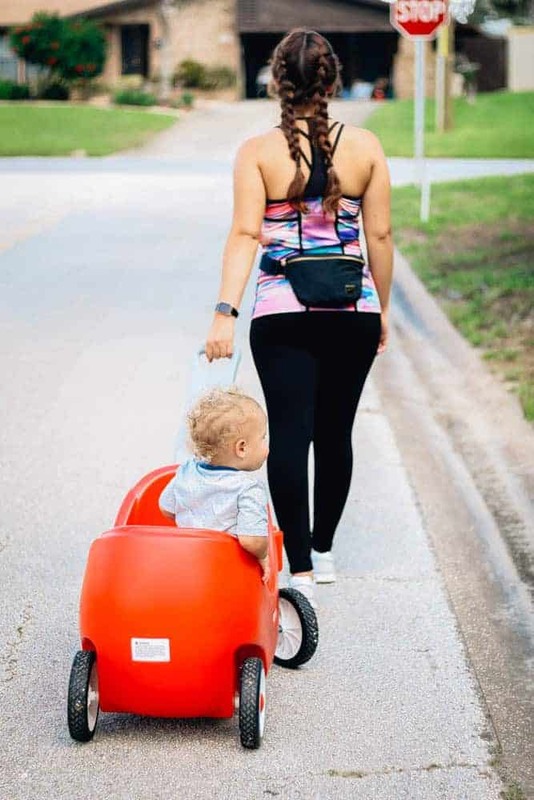 Specifically designed to attach to the Doona's quick-release connectors located on the handlebar, everything is within reach so no longer do new moms have to juggle a diaper bag or struggle with shoving everything underneath the stroller. 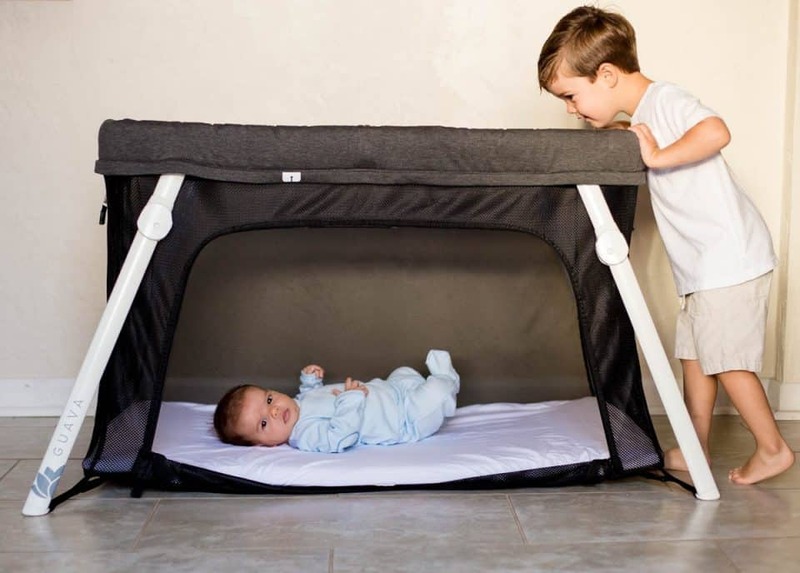 With everything from travel bags to insect nets designed to maintain the stability of the Doona and enhance its use, no matter your adventure, parents and baby can easily and enjoyably travel together. 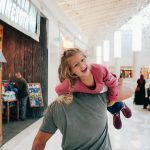 When the founder of Simple Parenting welcomed his first little girl into the world, he and his wife experienced the struggle of all new parents trying to juggle a heavy infant carseat and stroller combo. Wanting all parents to be able to take their babies with them around town or around the world, the simple and practical parenting solution of an all-in-one mobility system was created, the Doona. Simple Parenting is committed to developing high-quality, innovative, and practical products meant to inspire parents and help them through those first tough stages of parenthood. Because every new mother deserves the best gear for her greatest adventure, Motherhood. Give Mom the best gift of all this Mother's Day: Sleep. Mothers everywhere know that in those first few months, and even years with baby, sleep is a commodity that cannot be matched. Being able to get baby to sleep through the night and through daytime naps knowing that he is sleeping safely are the most important things on every new mama's mind. Further, new mothers so often feel stuck at home fearing they can't travel with baby having nowhere for them to sleep. This Mother's Day, change all of that for the new mama in your life with the Lotus Bassinet Kit + Crib Bundle by Guava Family. Made for the family that loves to travel together, the Lotus Bassinet Kit + Crib Bundle provides a safe sleep solution for babies and their parents. Perfect for use at home or on the road, this crib ensures everyone gets a good (and safe) night's sleep. 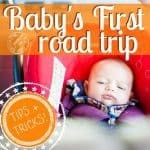 This simple, convertible package is ideal for newborns through toddlers for sleep, play, and everything in between. The Lotus Bassinet Kit + Crib Bundle grows with your baby providing optimal sleep solutions for years. From the moment you bring your little one home from the hospital, the Lotus Bassinet is an ideal option for placing right next to your bed. At bed height for better visibility, new parents can watch their little one sleep or scoop him up for a midnight feeding. Further, the bassinet has options for remaining stationary or rocking allowing mom or dad to soothe a fussy infant before he is fully awake. Cover the bassinet's memory foam mattress with the soft cotton Lotus Bassinet Sheet. 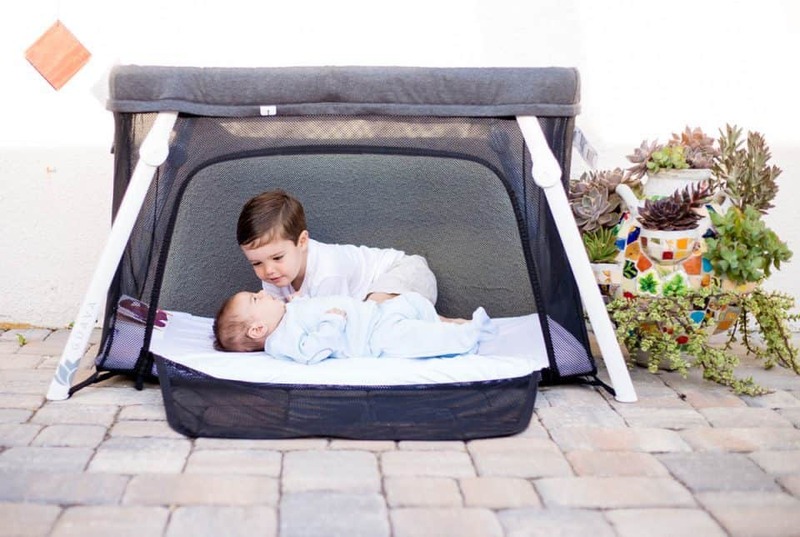 This simple, portable sleep space is perfect for moving throughout the house so baby can sleep nearby, small-space living, trips to grandparents' homes, or wherever this amazing parenting journey may take you. Safe for infants up to 18 lbs., this bassinet with breathable, clear view mesh sides and a 100% breathable mattress keeps your baby always within reach. Knowing how quickly our babies grow up, the Lotus Bassinet Kit + Crib Bundle grows along with them. 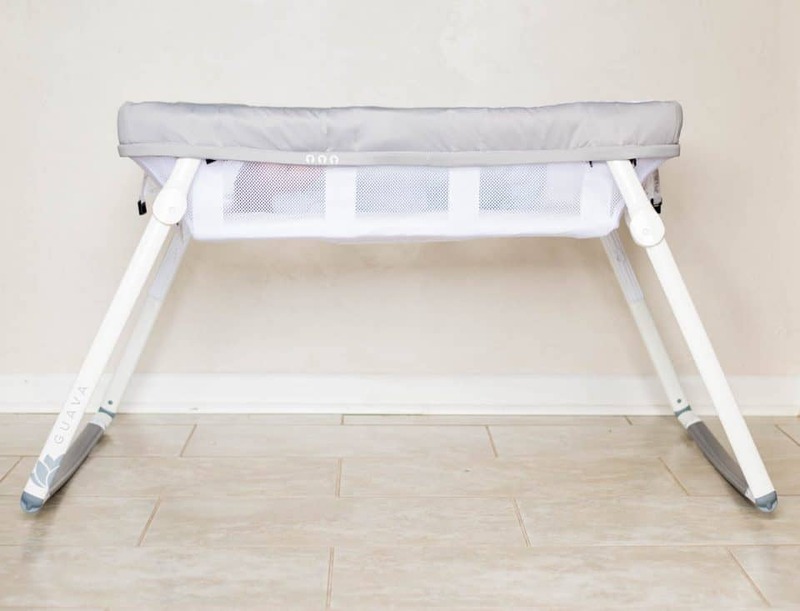 Once baby outgrows the bassinet, simply convert it to the Everywhere Crib and cover with the soft cotton Crib Sheet that is perfect for toddlers up to 3 years of age. Sturdy enough to contain a rambunctious toddler for play and safe enough to allow him to sleep inside, the Everywhere Crib is a parenting necessity. Just as easy and portable as the bassinet, the Everywhere Crib can be moved around the house to keep your now toddling tot in sight, to put him down for a nap, or to take him with you on your travels. 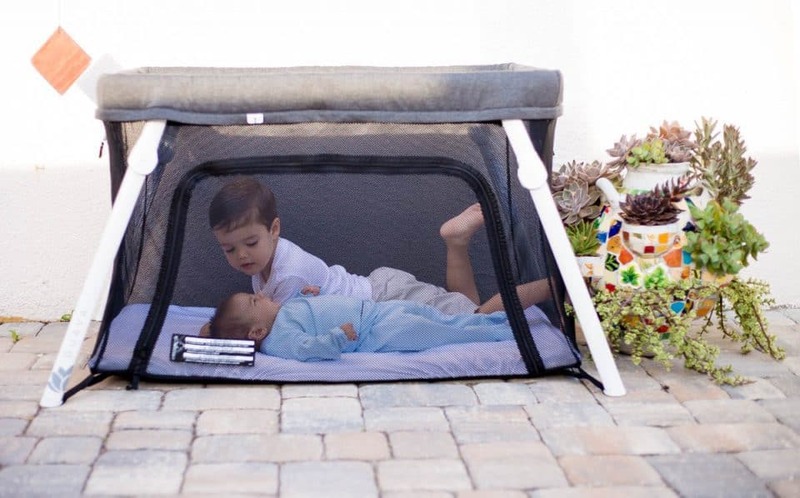 Additionally, with the incredible feature of a zippered side door, this crib not only allows your child to get into his safe space on his own, it also allows you to climb inside to read a story, soothe a fussy toddler, or nurse your little one to sleep. 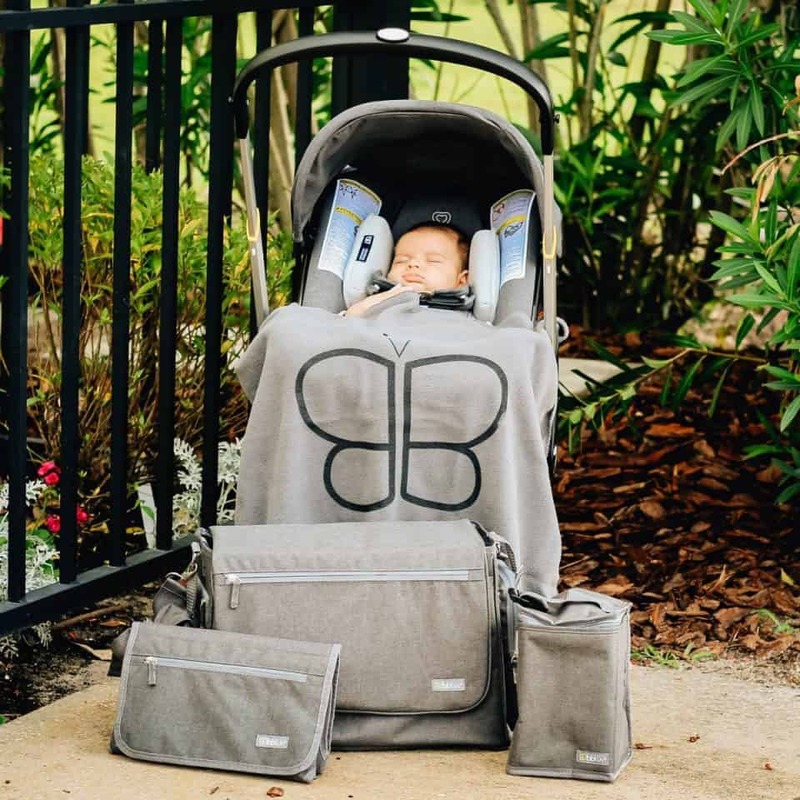 Simple to pack into its included, backpack carrying case, the Everywhere Crib offers lightweight, hands-free portability allowing you to still carry your baby or chase your toddler while on the go. 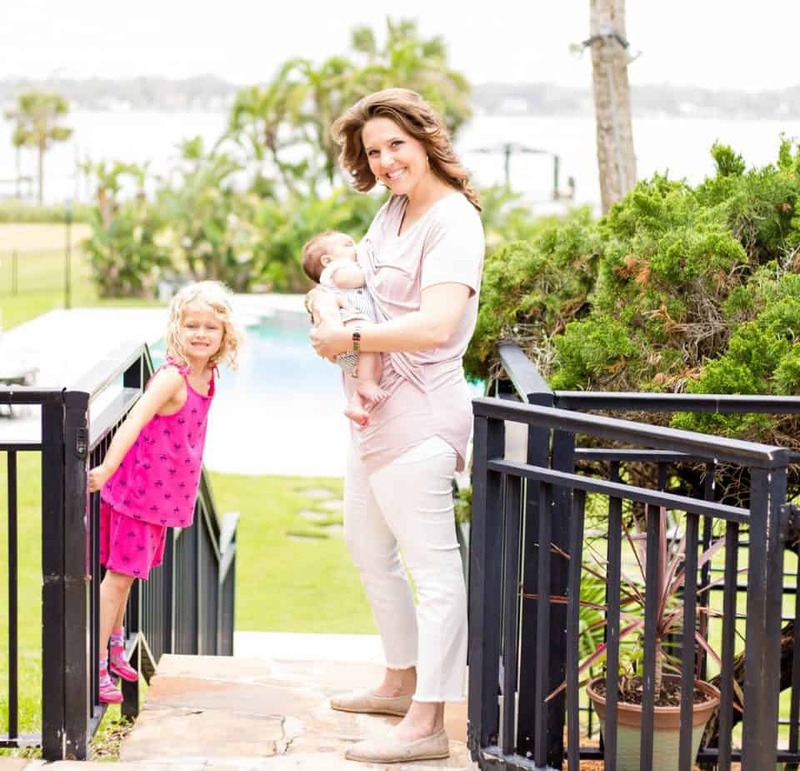 Founded on the belief that life should be spent together, Guava Family is a small, family oriented company dedicated to designing quality products for parents and their babies. 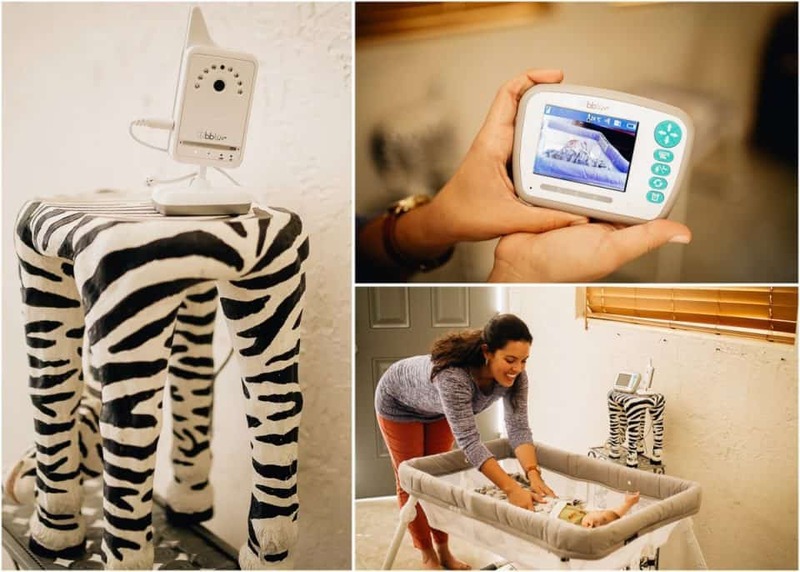 Realizing that the majority of baby products were heavy and hard to move around, this company wanted to create a product(s) that allowed parents and babies to live, work, play, and sleep together. Aspiring to make this adventure called parenthood just a bit simpler, Guava Family uses only the highest quality materials and trusted partners in creating their products. The Guava Family guarantees safety taking the stance that if it is not safe enough for their children if it is not safe enough for ours. 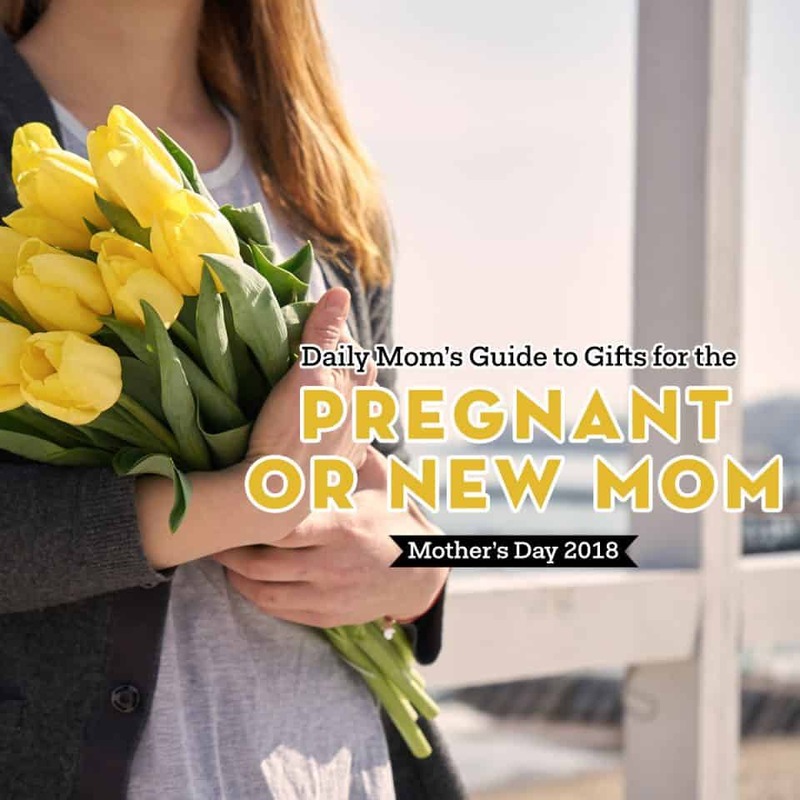 If you are searching for a gift for a new mom for Mother’s Day, practical gifts are the way to go. Although blankets and baby clothes are cute, they are more for baby. Give her something that she will actually use and help make mom life easier, like a new baby monitor. Let mommy have a break from constantly getting up to check on their new baby and let them rest from the comfort of their couch or bed by simply looking at a digital baby monitor with a crystal clear, color picture of their baby. 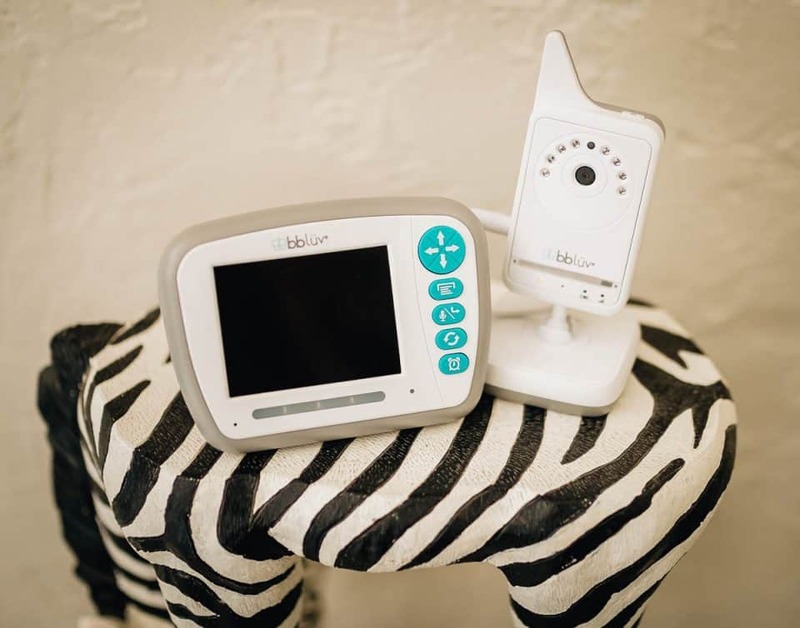 Whether they are sleeping in their crib or playing in a playroom, mom will be able to relax by knowing that their baby is safe and sound with the Vizio All-in-one Digital Video Baby Monitor by bbluv. The CrystalVu technology of the Vizio digital baby monitor is activated by sound and motion both day and night. You can watch your baby on the 3.3 inch color LCD display screen and even zoom in to get a better look at your little one. The rechargeable battery gives you the freedom to carry the monitor around the house with you for 12 hours of battery life. 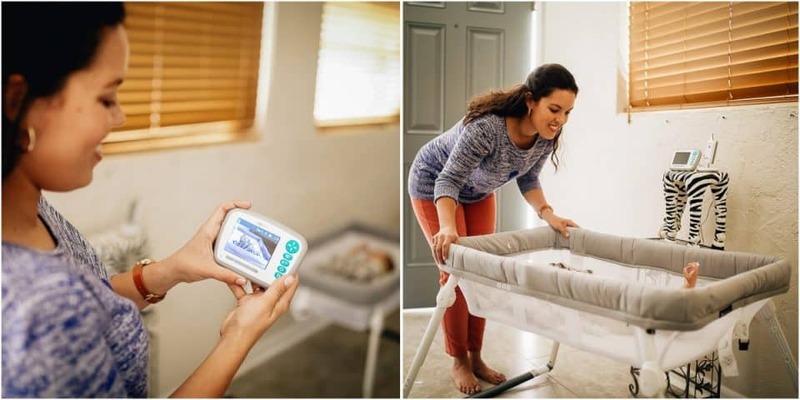 Many new mamas are worried about how their baby is doing when they are not with them but with the alert features of the bbluv Vizio Digital Video Baby Monitor, parents can be notified of low and high temperatures, low battery, and a baby feeding alarm. This baby monitor will even help put your baby to sleep by playing 8 soothing lullabies. There’s no need to walk into a nursery and possibly disturb your child anymore with this amazing and complete monitor. If you have a mom in mind that could use a new everyday bag, Freshly Picked has just introduced their new City Pack. 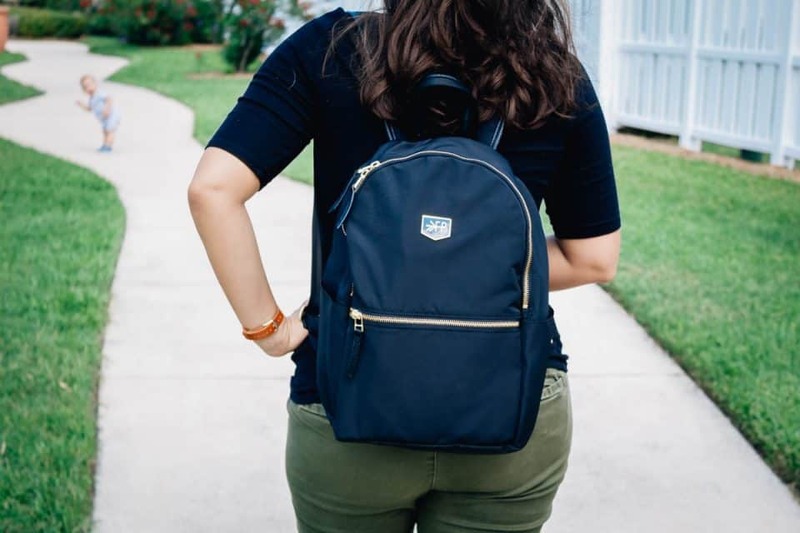 This lightweight backpack is made out of premium, water-resistant nylon making it extremely easy to clean up after inevitable spills and scuffs. The interior of this beautiful bag is just as impressive as the outside. 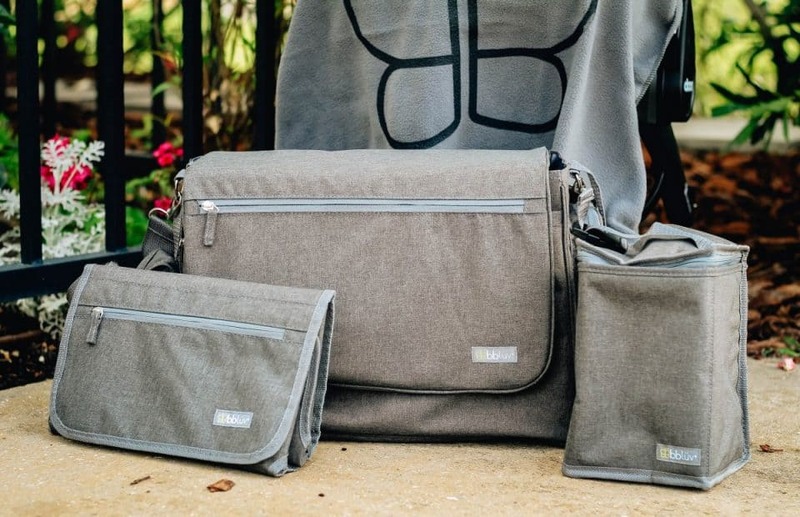 Within the 100% wipeable heather grey lining, there are 10 pockets for storage including an insulated snack pocket and sleeve for a laptop or tablet. The hidden pocket in the back for cash, phone, and keys make it perfect for a quick grab, most importantly, without having to dig through a full bag. Although this is a diaper bag, it doesn’t have the look of a traditional diaper bag. The City Pack by Freshly Picked is an ultra stylish backpack with tons of versatility. This brand new bag can be given to moms of all kinds, not just new moms or moms with infants. 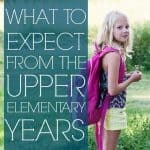 We can all agree that even if your kid is 10 years old, you are going to need something for them when you're out of the house. Whether it’s tissues, snacks, or band-aids, mom’s need something to carry the necessary “supplies” around for children of all ages. 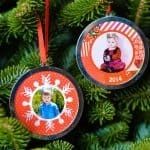 Freshly Picked is a company dedicated to the needs of moms and their children. 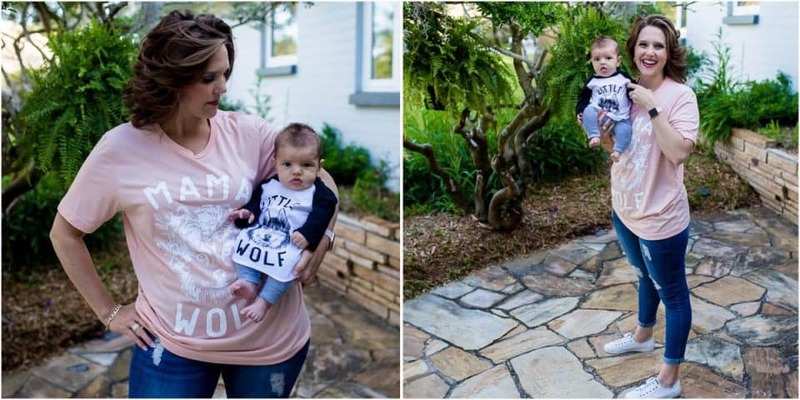 Founded by a mom that was disappointed in the lack of well-designed baby shoes, this motivated mama began creating adorable baby moccasins that were not only a cute but functional shoe that actually stays on baby’s feet. 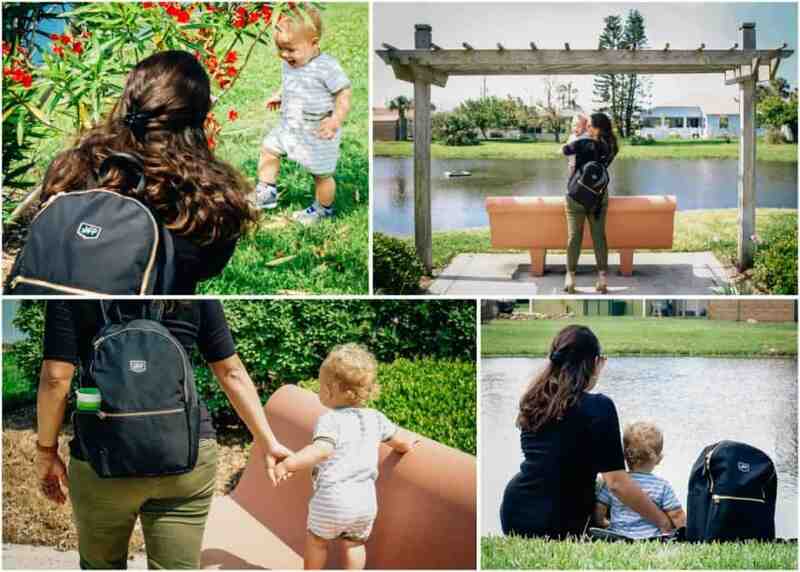 The brand has since expanded to diaper bags that are perfect for that on-the-go mom. In addition to the one featured above, Freshly Picked offers an over the shoulder diaper bag, a clutch, and a fanny-pack. Nothing means more to a mom on Mother's Day than sleep. It is something we crave the minute our little ones are born (and maybe even before!). Give the gift of sleep to the mom in your life by letting her sleep in this Mother's Day. But take it one step further by giving the gift of luxurious sleep with performance loungewear from Sheex. 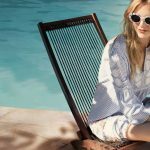 Sheex is the first ever performance lounge and sleepwear that keeps you cool and comfortable all night long. Their 828 MOTION fabric is a silky soft performance jersey that gives you the ability to move with your body but also gives the perfect amount of stretch to feel confident even when you sleep. Its quick dry material also helps to control your body's temperature but also dries fast in case night sweats affect your sleep. Sheex is committed to a comfortable night's sleep. Their breathable technology allows for two times more effective heat transfer, decreasing your chances of waking up because of temperature fluctuations. And moms know that postpartum body changes (as well as little babes sneaking into bed with you at night) can make it unbearable to sleep sometimes. So give the gift of the best sleep ever with a morning to rest with Sheex loungewear. Looking for a Mother's Day gift that reminds Mom that she needs to take a breather and put her feet up and relax? Fuzzy Babba has got you (and her feet) covered. This is a company that knows comfort. 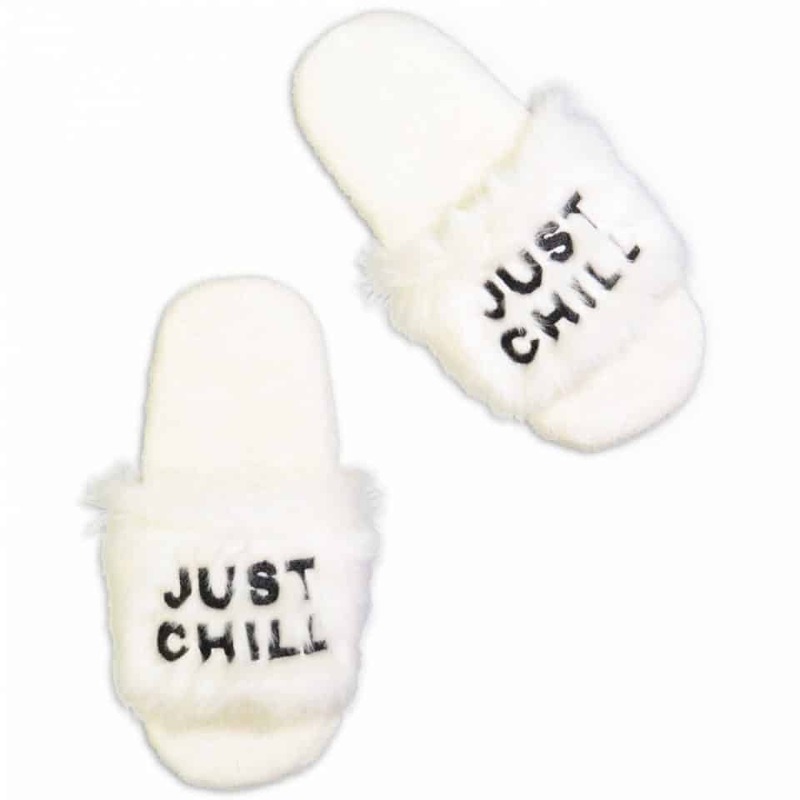 Their slippers are crafted to make you feel like you are walking on a cloud. 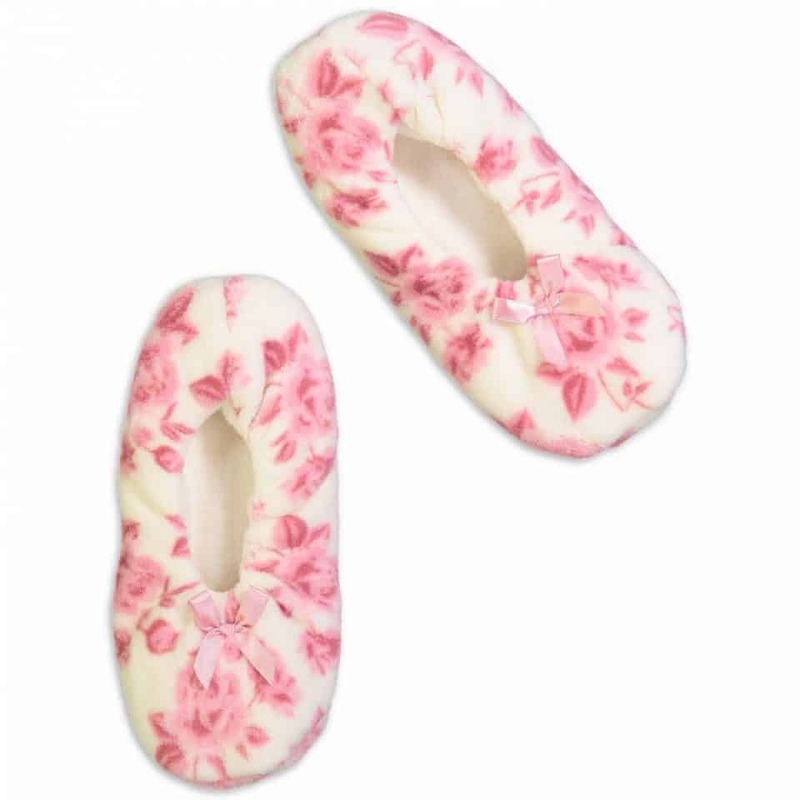 Their Women's Floral Print boasts a super smooth and plush outer and a breathable pillow like inner and grippers on the bottom to ensure that she doesn't slip.They have a large selection of slippers from ballet style to slides which are one of our personal favorites. They even have a great selection of comfortable socks! Because breastfeeding mamas deserve to look and feel their very best. Breastfeeding mothers are amazing women devoting themselves to the health, growth, and development of their babies day in and day out. The ability to feed our babies is a gift and these mamas spend countless hours making sure their babies are receiving the best possible nutrition. However, breastfeeding is not always easy no matter the age of the child. From the ravenous infant to the curious toddler, babies everywhere want to be fed fast and usually without being covered or contained. Here to make that task just a bit simpler is Latched Mama with their awesome line of classy, comfortable, and casual nursing wear. Perfect for everyday wear, we love the Latched Mama V-Neck Nursing Tee 2.0. Available in a variety of colors, this relaxed fit, long and loose tee pairs perfectly with everything from jeans to leggings. We promise you this tee will become a staple in every nursing mom's wardrobe! This super-soft tee with a double layer for easy breastfeeding access allows you to feed your baby anywhere, anytime while keeping both of you cozy and comfy for cuddling while nursing. Available in the same super-soft material and ideal for lounging at home or those hot summer months is the Latched Mama Petal Front Nursing Lounge Tank. This go-to top features a longer length and flutter front style for a flattering look paired with pants, leggings, or even shorts. The double layer provides easy nursing access for baby both day and night. The loose fit allows you to hide any postpartum imperfections and leaves new mamas feeling beautiful and chic. Originally meant to be considered a pajama top, this multi-functional tank will be much loved by all new breastfeeding moms. We know it can be chilly during those late night feedings so perfect for throwing on over the lounge tank is the Latched Mama Lounge Cardigan. Not just for nighttime, this incredibly soft, flowy, loose-fitting cardigan is also pretty piece for everyday use. Long enough to wear with leggings and sporting pockets for her cellphone, this flattering cardigan is a new moms dream! 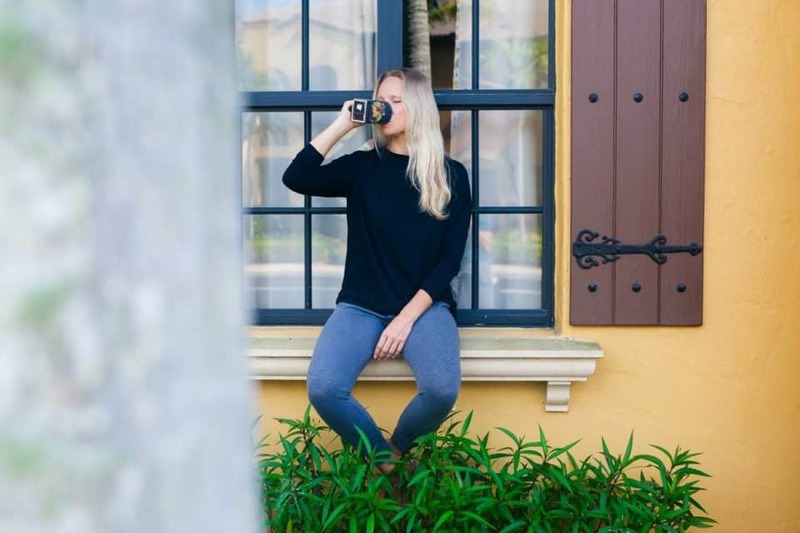 Worn with the Latched Mama Lounge Pants featuring a non-elastic, yet supportive waistband and pockets, this outfit is perfect for pregnancy or postpartum wear. These soft pants are great for wearing around the house, but are stylish enough to be worn for so much more. Latched Mama prides themselves on making "play clothes for nursing moms." Launched in 2014, the original Latched Mama Melissa wanted to normalize nursing wear while making beautiful, affordable nursing clothing. Supportive of all breastfeeding mothers Latched Mama's line inspires confidence by helping all mothers feel more comfortable and competent feeding their babies both in and outside the home. After baby is born new moms everywhere cannot wait to get back into their pre-pregnancy clothes. Unfortunately, that usually does not happen as quickly as we wish and we are left struggling to get dressed daily. For breastfeeding mamas in particular we are stuck between wanting to wear cute, trendy clothing while also having easy access to feed our always ravenous little one, or even to pump if back in the workplace. 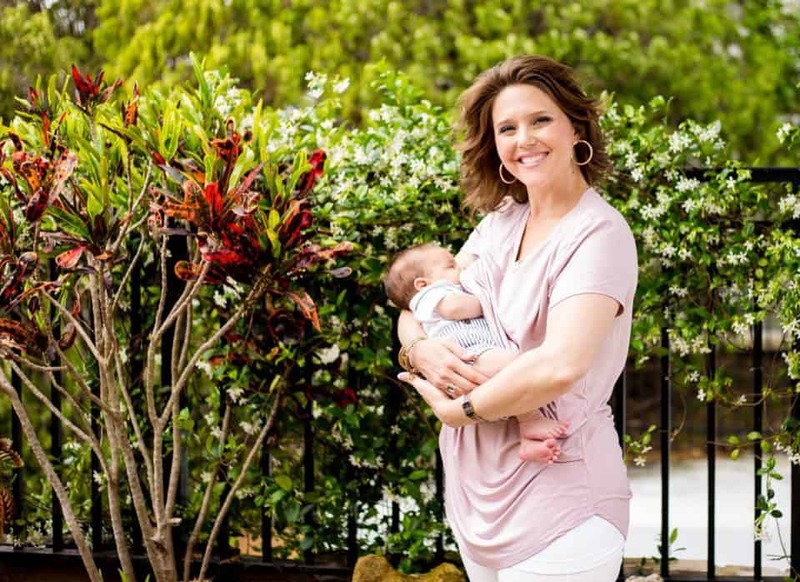 Whether it is her first Mother’s Day or simply the first with her newest addition, help those breastfeeding mamas feel beautiful this year with cute, comfortable, and stylish nursing wear. Casual, comfortable, and chic, we love the Preston 3/4 Bell Sleeve Black Stripe Nursing Friendly Dress from Milk & Baby. 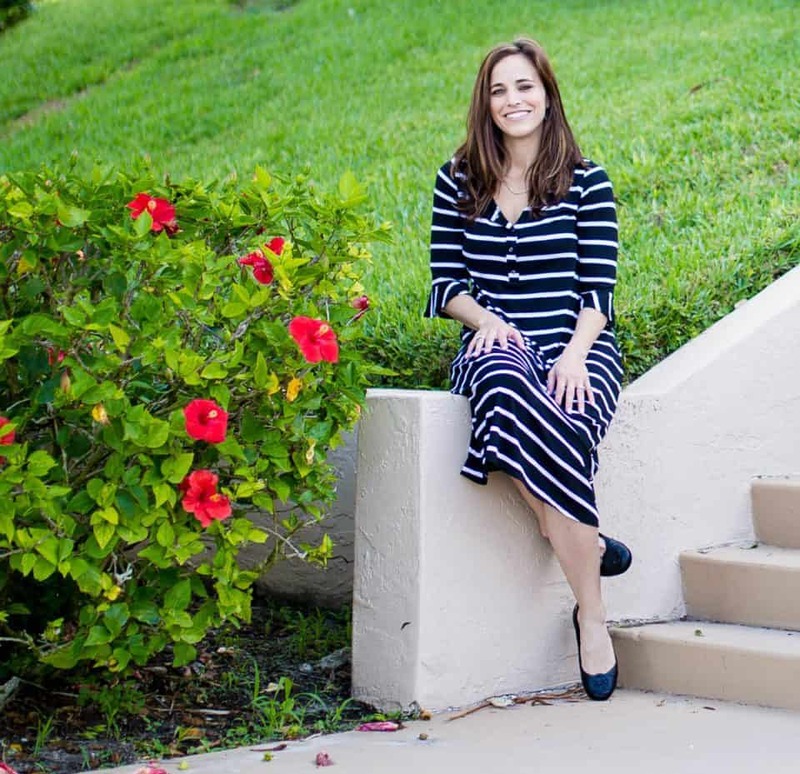 With the versatility to be dressed up or down whatever the occasion, this neutral dress featuring a classic stripe can be worn with ballet flats, wedges, or even sneakers for a cute and trendy look. Featuring a u-neck with 5 simple snap closures breastfeeding baby is a breeze. 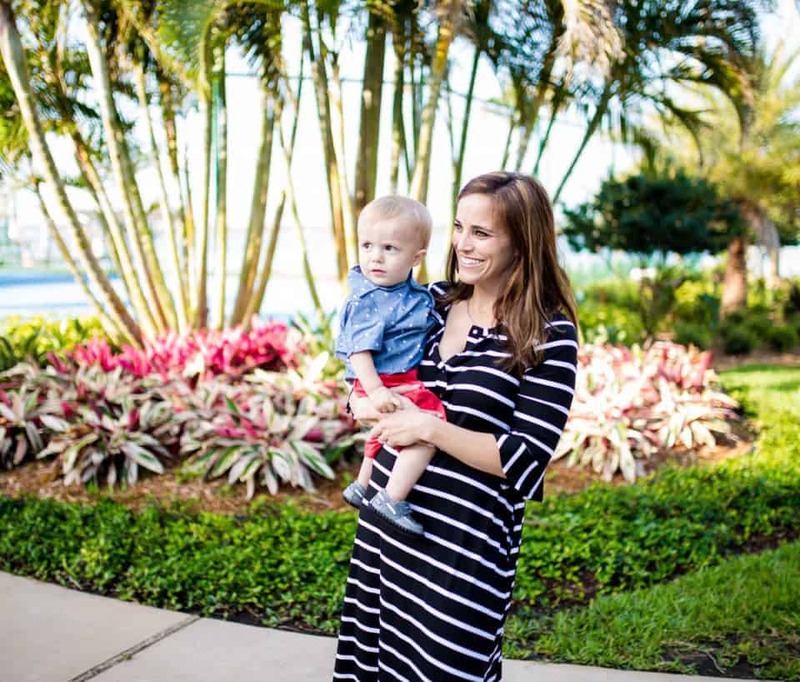 This dress is a must-have for new moms as its loose fit, side pockets, and nursing access cover any postpartum lumps and bumps while allowing mama to feed her baby and feel pretty all at the same time. Ideal for church, returning to work, or even wedding season, we also love Milk & Baby's Crossover Maternity and Nursing Dress. Featuring a slightly longer length, this cap sleeve nursing dress hits just below the knee making it conservative enough to wear for work, but classy enough for Sunday brunch. This soft, stretchy blend dress flatters a new mama's postpartum body with its empire waist and slightly fitted shape. With the crossover nursing flaps complete with an added layer underneath, feeding baby is easy even for shy and modest mothers. Milk and Baby would like to say Happy Mother's Day to all of our Daily Mom readers with a 15% off discount code on your entire order using the code DAILYMOM. Mostly every mom needs a nice, durable diaper bag to bring the essentials with you wherever you go. 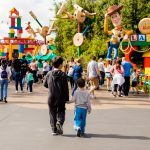 Whether you are a new mom, mom with toddler-aged children, or mom with multiple kids, keeping things like wipes, snacks, toys, and diapers close by when you are out of the house is crucial. 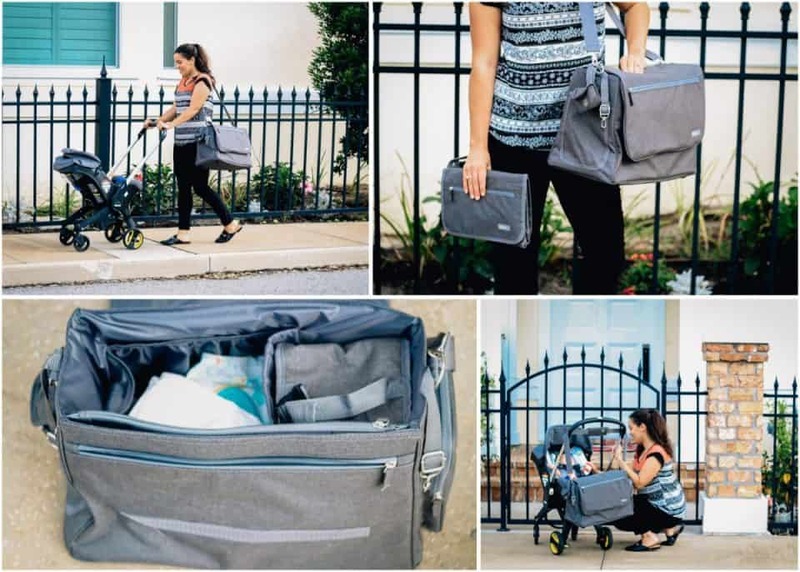 Avoid being out somewhere in public with a lack of necessary supplies and take the Ultra Complete Diaper Bag by bbluv with you. 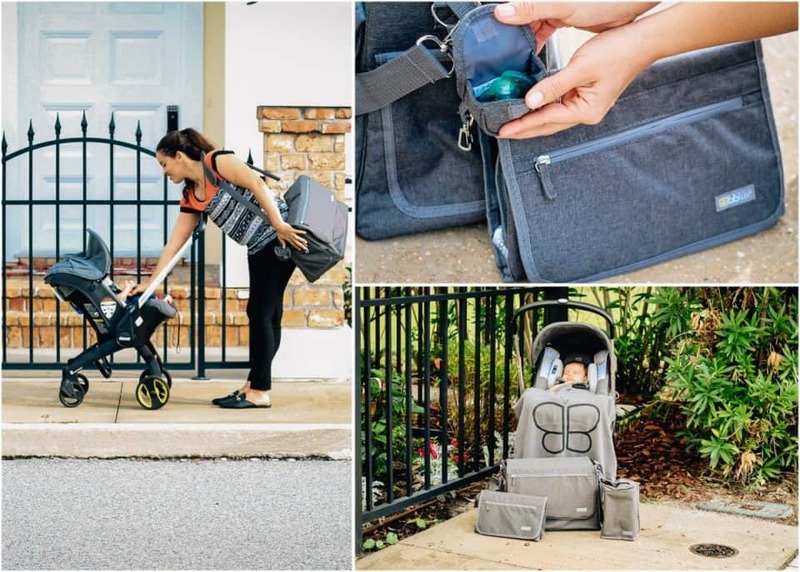 Although this diaper bag is full of accessories and features that make it easy for mom to pack their child’s things, it has plenty of room for mom’s stuff too. When you give that special mom this Complete Diaper bag, you are giving them so much more than the bag itself. This gift will include a pacifier pouch, an insulated food bag, a fleece blanket, and a large size changing pad with pockets and a carrying strap to use separately when you want something smaller. A universal connector is also provided to hook to most strollers. Lastly, the amazing size of this diaper bag gives you ample room so if the bag gets a bit heavy, comfort will still be provided by the padded strap. 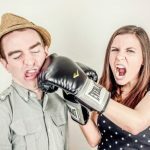 Bbluv is a newer company started in 2016 but already has the quality of products of the competition. 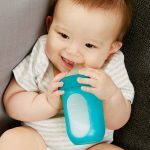 They are dedicated to making products convenient for both children and parents while using a safe and clean design. All the products by bbluv are known for their durability, practicality, and functionality. 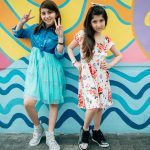 Boho chic causal tees for Mama's and their little loves. Cool, comfy, and casual is all every new mama wants to be. Loving our littles is a mama's number one priority and she always wants to be there to play, protect, nurture, and support her babies through it all. 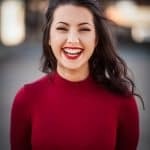 For most new mothers, being able to do so in style is important because although she is exhausted and stressed, she still wants to look her best. This Mother's Day support her new mom style with an edgy, boho one-of-a-kind tee from the Pine Torch perfect for everything from grocery runs to lunch with her new mom friends. 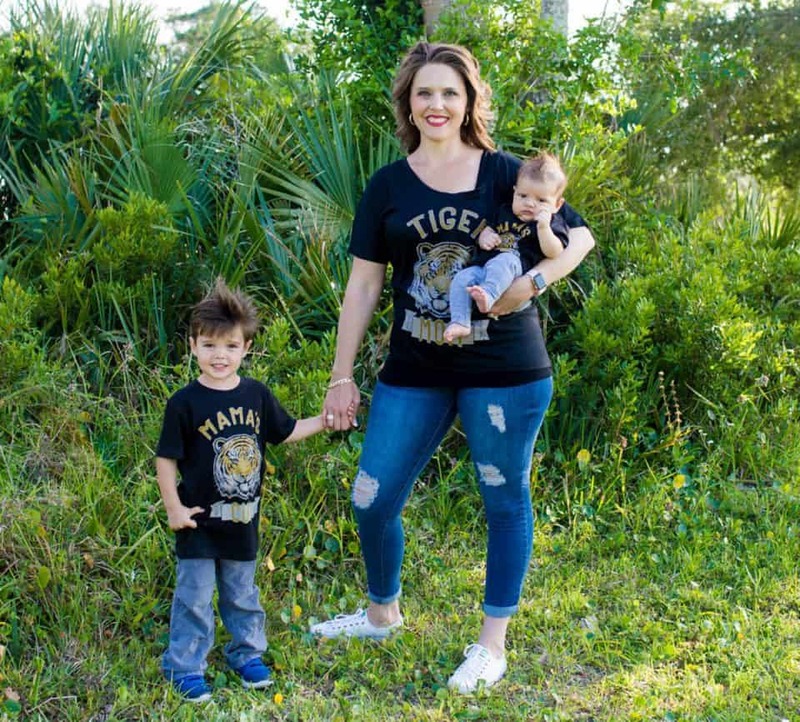 We absolutely love the Tiger Mom + Tiger Cub Mommy and Me and Mama Wolf + Little Wolf Mommy and Me tees from the Pine Torch. These sets symbolize everything a new mama is all about - fiery ferocity and ethereal beauty, mama's will protect their cubs with all of their being. 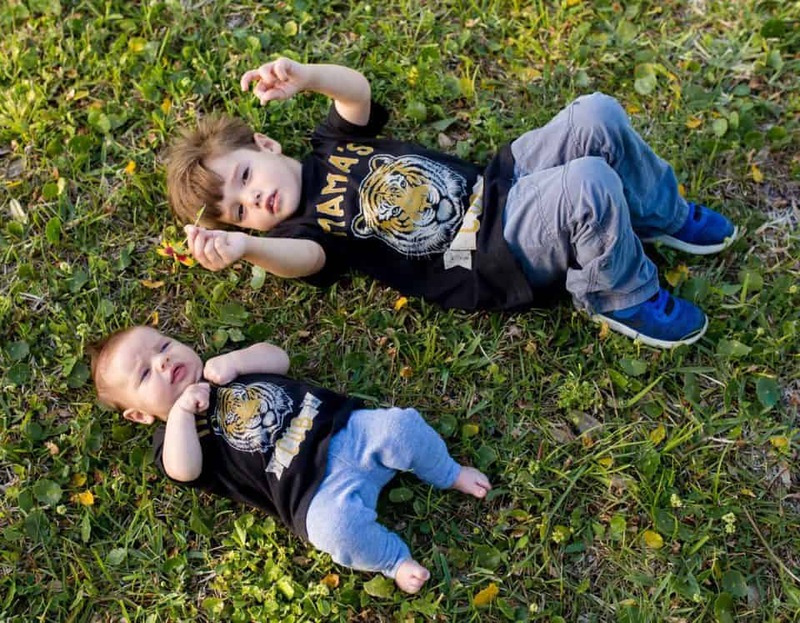 Available in a tank, unisex or slouchy tees for the mamas and a unisex bodysuit or tee for her cubs, these sets are both a trendy and thoughtful gift this holiday. 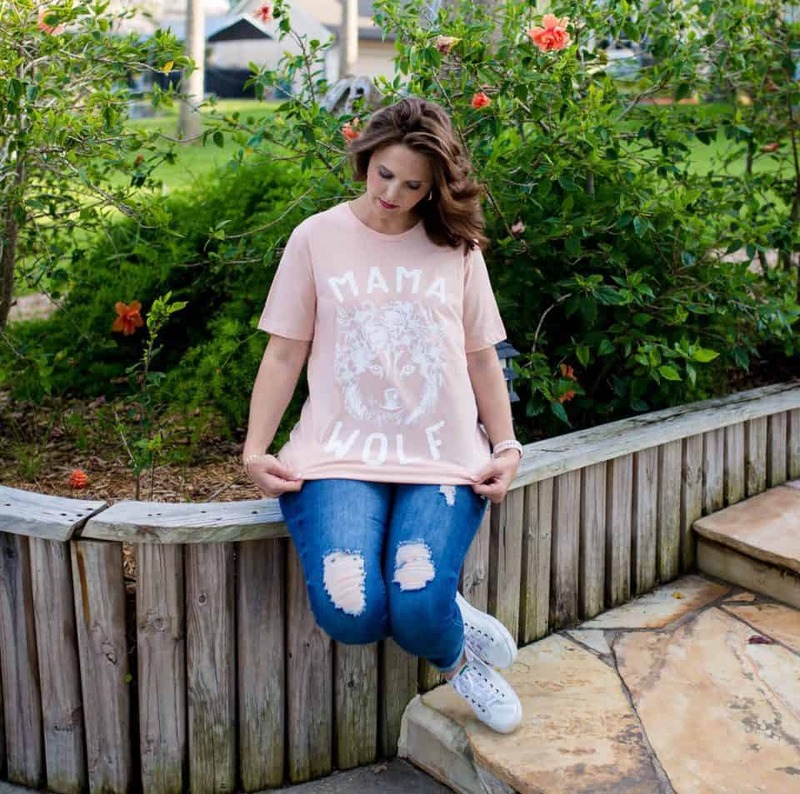 Perfect for pairing with everything from yoga pants to cutoffs, both the mother and little cubs in your life are guaranteed to love (and live in) these soft, casual, original tops this Mother's Day. 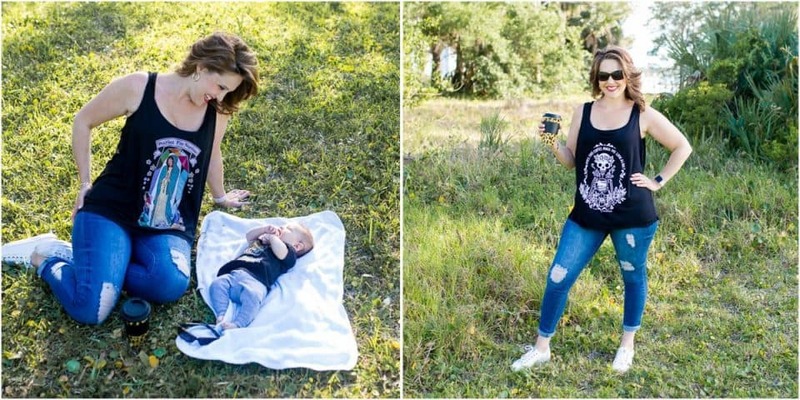 You are sure to find something the mama in your life will love from The Pine Torch with one of the super-soft, comfy tees or tanks adorned with a wide variety of creative graphics to fit your mama's personality this holiday! 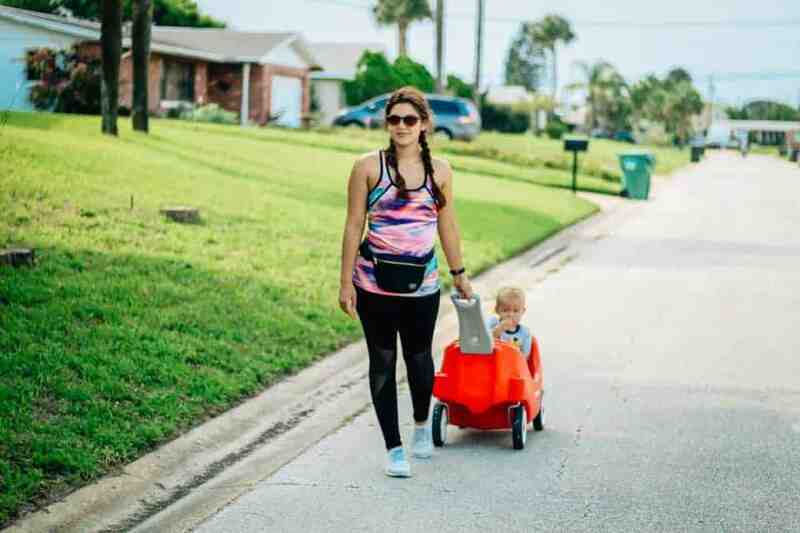 Do you know a mom that would totally rock a fanny-pack? 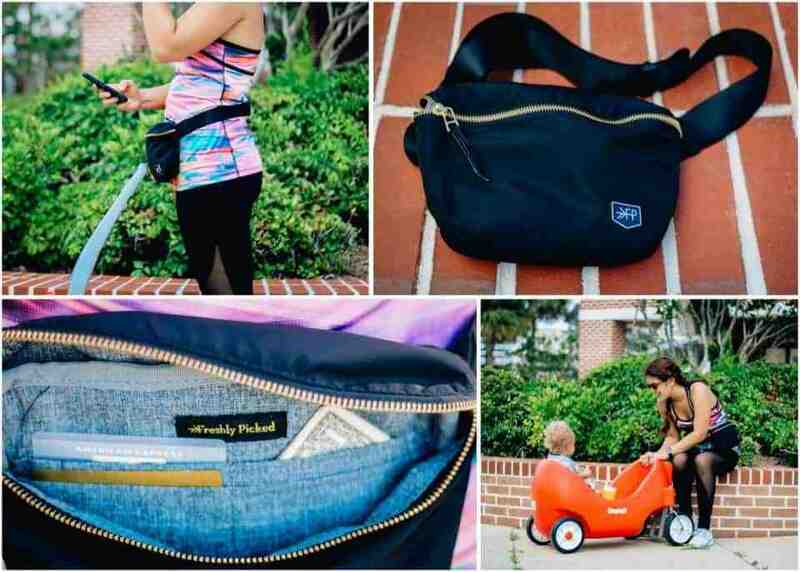 Freshly Picked just launched the cutest fanny-pack and it's geared specifically towards moms. The all new Park Pack is the ultimate "mamacessory". It is a perfectly small size that let's you hold only the essentials when you find it unnecessary to tote around a large diaper bag. 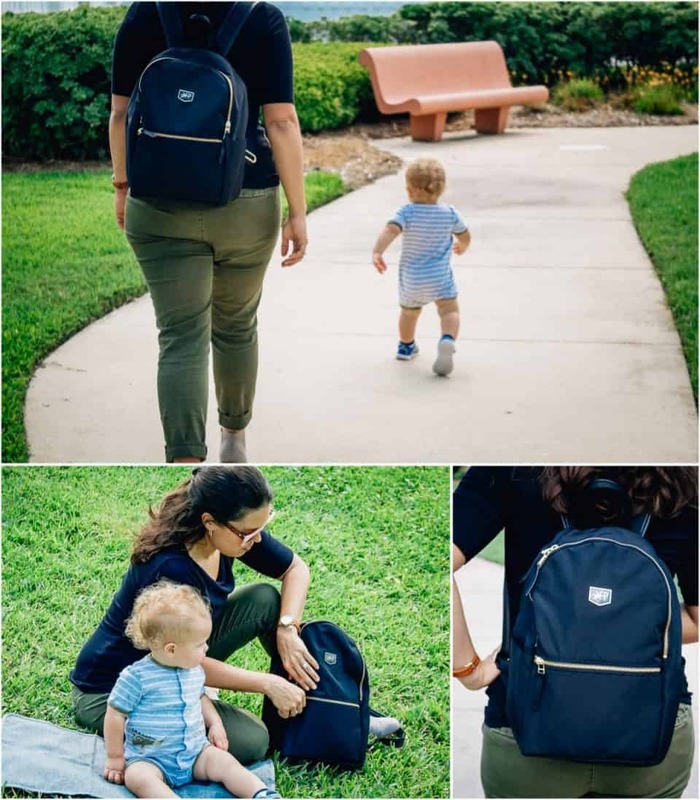 The Park Pack is a genius way to carry only what you know you need, especially for those baby-wearing mamas that need a way to grab something quick without having to set down a diaper bag and sift through it. You can hold several diapers in the Park Pack and with the 4 credit card slots and the hidden back pocket, everything will stay organized making this a great practical Mother's Day gift. 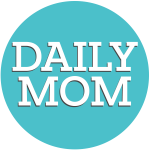 For more gift ideas for Mom, be sure to check out our other Mother's Day Gift Guides!